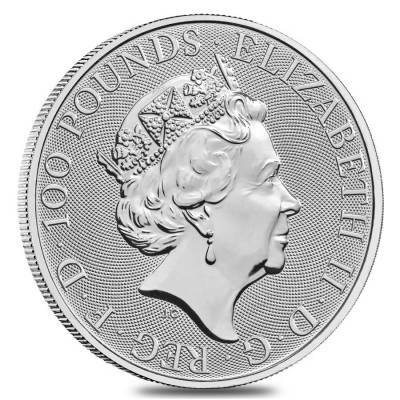 As one of the newest series available on the bullion market, the Queen’s Beasts series, exclusively released by the British Royal Mint, is inspired by hundreds of years of royal heraldry. 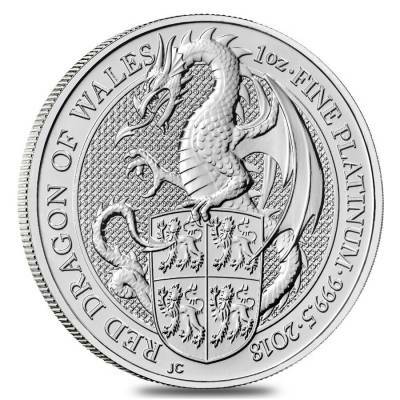 This latest release of the 2018 Great Britain 1 oz Platinum Queen's Beast (Red Dragon) Coin, the latest in the ten coin series, celebrates the Red Dragon of Wales. The dragon first became tied to Wales in 829 AD, when it was recorded in Historia Brittonum as being the battle standard for the legendary King Arthur. The Queen’s Beasts series ties the modern day back to the coronation of Her Majesty the Queen in 1953. On this chilly day, the procession of the woman who would become the world’s longest reigning living monarch into Westminster Abbey was flanked by ten six-foot tall statues lining the entrance. These were chosen as a link to her ancestry, as the 10 beasts are the same that have been worn as badges by the line of kings and queens preceding her. 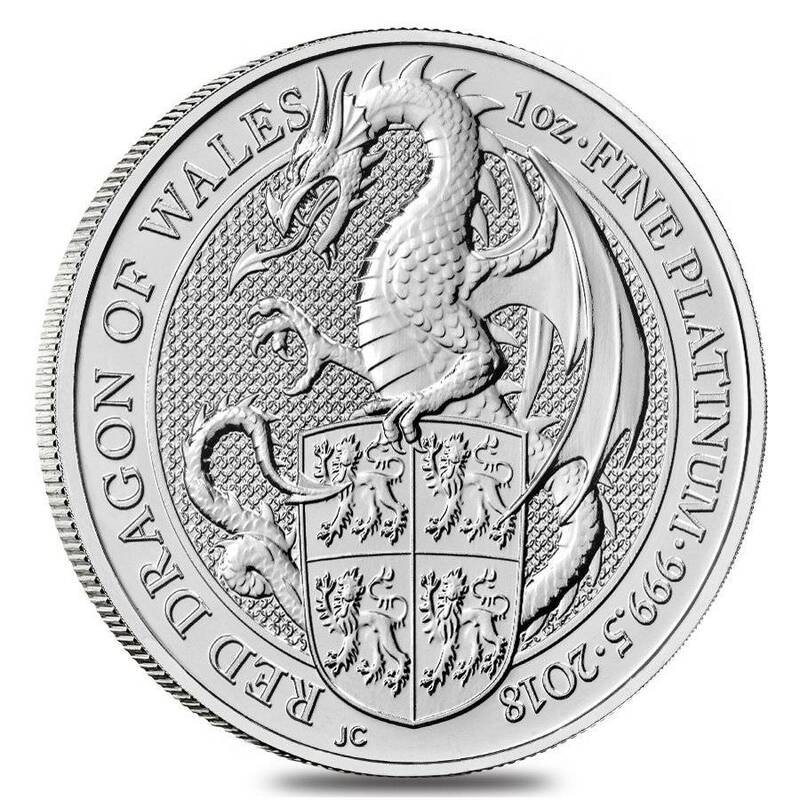 Reverse: Showcases a stylized image of a dragon holding a shield that contains the Arms of the United Kingdom, inscribed with “RED DRAGON OF WALES” and the year of mintage. Bullion Exchanges offers you a wide selection of exclusive items from renowned international refineries. Add this exquisite coin to your collection today, and it will be carefully wrapped, packaged, and delivered to your address. If you have any questions, just send us a message through our convenient web portal and our customer service representatives will be happy to assist you. For every $1 spend, you will earn 1 Bullionaire Buck which is equivalent to $0.001 off a future purchase. 971 BB = $0.97.